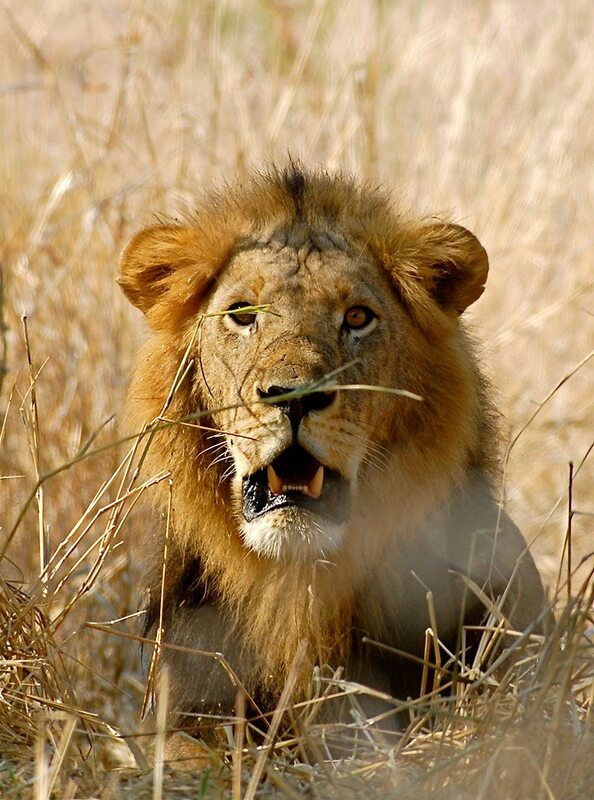 A comprehensive, nine-night safari in southern Tanzania that covers the vast expanse of the Ruaha National Park, the mighty Selous Game Reserve and the waterways of the Rufiji River as well as the tropical beachside ambiance of Ras Kutani, just south of Dar es Salaam. 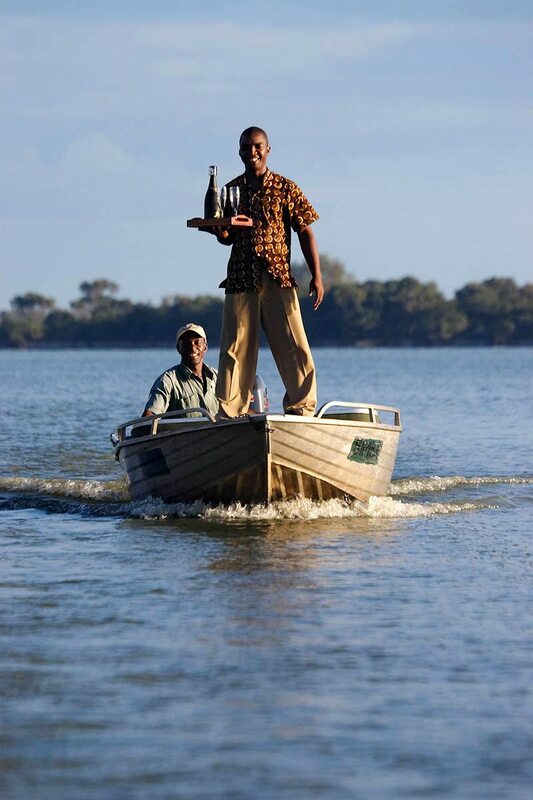 The chance to fly camp under the stars, roam the remote Selous and cruise the Rufiji River Delta. 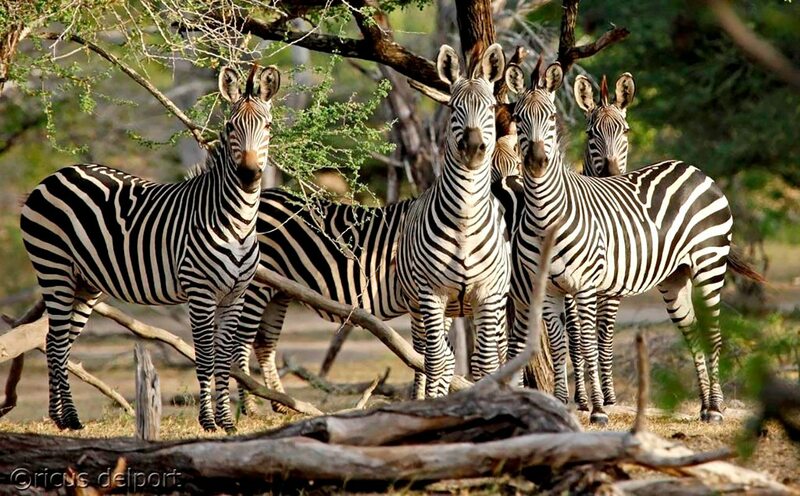 Stays in two luxury tented camps and a beachside cottage. For more information see Jongomero, Siwandu and Ras Kutani. The landscape changed from the dramatic gorges and mountain ranges of the Rift Valley to the lush green surrounding the Great Ruaha River before we landed on the dusty red Jongomero airstrip. From there, it was a short drive to Jongomero, where we’d be staying for the next three nights.We’d arrived just in time for a communal lunch at the open restaurant, which we enjoyed over views of the sand river, keeping a keen eye out for visiting wildlife. After a quick rest in our tented suite, we joined our guide for a game drive in the Ruaha National Park, hoping to catch a rare sighting of the elusive wild dog. While we weren’t so fortunate this time, we did find elephant digging for water in the dry riverbed! Later, we stopped for a sundowner as the sun set over the open grasslands, captivated by the beauty of this vast, untouched space.The next morning we were woken up with a tray of steaming tea and coffee. With an open-fronted suite, we didn’t even have to get up from our Emperor bed to admire the views. We left camp on foot, following our guide closely as he pointed out several bird species, an industrious dung beetle and nocturnal animal prints along the river. Excitingly, we were going fly camping in southern Tanzania. After a bush lunch, we arrived at our wilderness camp and settled in with a hot bucket shower before dinner around the campfire. With our guide keeping careful watch over our tents, we slept peacefully under the stars.Our final morning at Jongomero came too soon. We woke up early for a quick bush breakfast, keen to put our newly-learnt tracking skills to use. We followed the prints of a herd of buffalo, encountering them for one shocked moment before they lumbered off. Our guide told us that the mighty Ruaha is in a unique transition zone where both the eastern and southern species of fauna and flora meet, which makes its landscapes and wildlife incredibly diverse. 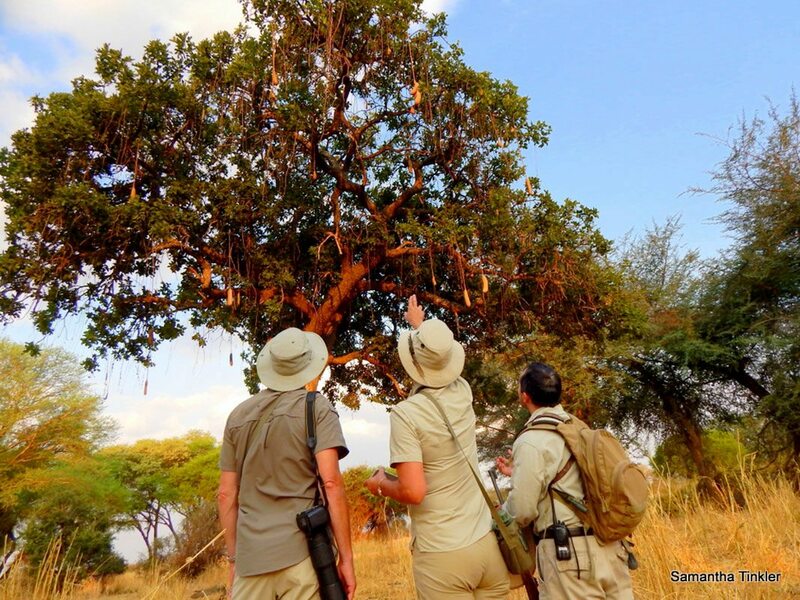 We were thrilled to see countless birds, rare plants and flowers – and even the tracks of wild dog – before heading back to camp to laze at the pool before our final Ruaha dinner. The landscape changed from the dramatic gorges and mountain ranges of the Rift Valley to the lush green surrounding the Great Ruaha River before we landed on the dusty red Jongomero airstrip. From there, it was a short drive to Jongomero, where we’d be staying for the next three nights. We’d arrived just in time for a communal lunch at the open restaurant, which we enjoyed over views of the sand river, keeping a keen eye out for visiting wildlife. After a quick rest in our tented suite, we joined our guide for a game drive in the Ruaha National Park, hoping to catch a rare sighting of the elusive wild dog. While we weren’t so fortunate this time, we did find elephant digging for water in the dry riverbed! Later, we stopped for a sundowner as the sun set over the open grasslands, captivated by the beauty of this vast, untouched space. The next morning we were woken up with a tray of steaming tea and coffee. With an open-fronted suite, we didn’t even have to get up from our Emperor bed to admire the views. We left camp on foot, following our guide closely as he pointed out several bird species, an industrious dung beetle and nocturnal animal prints along the river. Excitingly, we were going fly camping in southern Tanzania. After a bush lunch, we arrived at our wilderness camp and settled in with a hot bucket shower before dinner around the campfire. With our guide keeping careful watch over our tents, we slept peacefully under the stars. Our final morning at Jongomero came too soon. We woke up early for a quick bush breakfast, keen to put our newly-learnt tracking skills to use. We followed the prints of a herd of buffalo, encountering them for one shocked moment before they lumbered off. Our guide told us that the mighty Ruaha is in a unique transition zone where both the eastern and southern species of fauna and flora meet, which makes its landscapes and wildlife incredibly diverse. We were thrilled to see countless birds, rare plants and flowers – and even the tracks of wild dog – before heading back to camp to laze at the pool before our final Ruaha dinner. 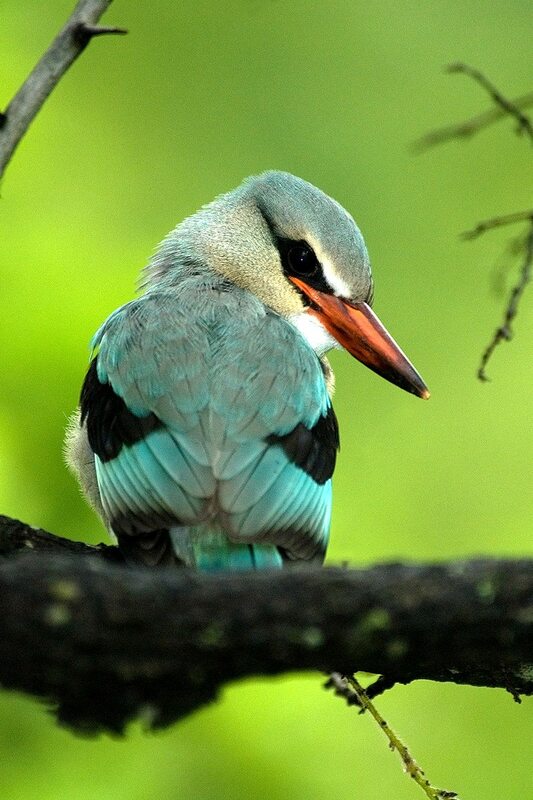 It was a short flight to the Selous Game Reserve, but the drive to camp was a safari all on its own, filled with wonderful wildlife sightings.After a late lunch, we settled into our tent; one of 13 dotted along the river. We’d chosen Siwandu for its waterside location in the Selous, which has dense wildlife populations – even including some African wild dog! We spent the afternoon drifting lazily along the Rufiji River, exploring its tributaries on a water safari while our guide kept a watchful eye out for game on the riverbank. We saw herds of beautiful impala, more patchwork giraffe, a crocodile and even a pod of hippo surfacing balefully from the water before heading back to camp for another delicious meal.The next morning we watched the sunrise from our verandah, enjoying a coffee as the sun lit up the dry bushland. Accompanied by our guide, we walked into the wilderness with a packed breakfast, eager to explore the Selous as it awakened. We were so keen to spot wild dog, we almost missed a leopard lazing in a tree above us! We headed back to camp before the day’s heat became too much, opting for a swim and a siesta after lunch.Our third day offered our last chance to spot those elusive predators, so we joined an early morning game drive. The first sign of their presence was a high-pitched chattering, followed by white tails bobbing in the grass. We quickly joined the hunt, watching in a mixture of awe and horror as the pack of wild dog chased an antelope in a coordinated group, running it down and biting it until it fell. Though tough to watch, we felt privileged to witness wild dog in action at last. Later, we enjoyed our last boat safari, exploring Lake Nzerakera at a much less frenetic pace!We woke up at dawn, keen to fully experience our final moments at Siwandu, including a last indulgent outdoor shower. A cup of local coffee on our verandah looking over the lake and an expansive breakfast preceded the next stage of our travels: to Ras Kutani on the Swahili coast. It was a short flight to the Selous Game Reserve, but the drive to camp was a safari all on its own, filled with wonderful wildlife sightings. After a late lunch, we settled into our tent; one of 13 dotted along the river. We’d chosen Siwandu for its waterside location in the Selous, which has dense wildlife populations – even including some African wild dog! We spent the afternoon drifting lazily along the Rufiji River, exploring its tributaries on a water safari while our guide kept a watchful eye out for game on the riverbank. We saw herds of beautiful impala, more patchwork giraffe, a crocodile and even a pod of hippo surfacing balefully from the water before heading back to camp for another delicious meal. The next morning we watched the sunrise from our verandah, enjoying a coffee as the sun lit up the dry bushland. 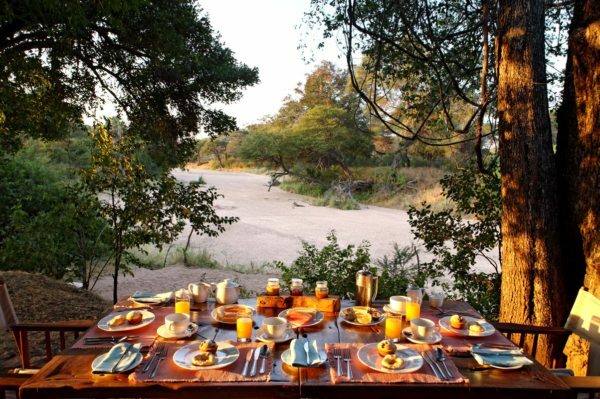 Accompanied by our guide, we walked into the wilderness with a packed breakfast, eager to explore the Selous as it awakened. We were so keen to spot wild dog, we almost missed a leopard lazing in a tree above us! We headed back to camp before the day’s heat became too much, opting for a swim and a siesta after lunch. Our third day offered our last chance to spot those elusive predators, so we joined an early morning game drive. The first sign of their presence was a high-pitched chattering, followed by white tails bobbing in the grass. We quickly joined the hunt, watching in a mixture of awe and horror as the pack of wild dog chased an antelope in a coordinated group, running it down and biting it until it fell. Though tough to watch, we felt privileged to witness wild dog in action at last. Later, we enjoyed our last boat safari, exploring Lake Nzerakera at a much less frenetic pace! We woke up at dawn, keen to fully experience our final moments at Siwandu, including a last indulgent outdoor shower. A cup of local coffee on our verandah looking over the lake and an expansive breakfast preceded the next stage of our travels: to Ras Kutani on the Swahili coast. The landscape soon changed from the open wilderness of southern Tanzania to the cityscape of Dar es Salaam. 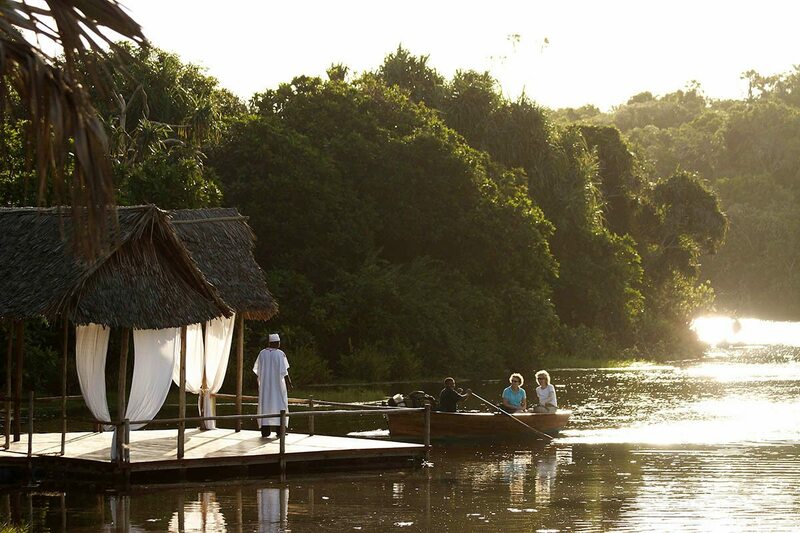 On arrival, we were driven to the shores of a freshwater lagoon and rowed across to Ras Kutani.After our busy safari schedule, we decided to take a day off for pure relaxation. It was a tough choice between loafing at our private plunge pool or on the beach, but eventually the beach won, simply because we couldn’t wait to sink our feet into the sand. Being able to signal our need for a drink by putting a flag in the sand was an undeniable luxury – one we took full advantage of! After a fresh seafood lunch, our afternoon was spent at the spa – indulging in massages, followed by rejuvenating beauty treatments.We lay in the next morning, relishing the comfort of our Sultan bed and the views over the lagoon from our hillside suite. With a range of activities, including snorkelling, bodyboarding, kayaking or even horse riding, we were spoilt for choice. We kayaked in the lagoon and snorkelled at an abandoned shipwreck, swimming with a turtle for a few seconds before it jetted away. Lunch was served on the beach, dinner at the beachside restaurant – both fabulous affairs. Later, we enjoyed a leisurely evening swim in our pool and a luxurious bubble bath before turning in.We woke up bright and early the next morning to join our guide for a walk on the beach, where we were one of the lucky few to witness endangered green sea turtles hatch and make their first journey into the ocean. The tropical forest behind the lodge is home to 132 species of trees and four types of monkey, including the black and white colobus, we learned on our later walk into the forest. We watched them swoop and swing from the trees, taking plenty of pictures, before spending the rest of the day on the beach.After a whirl of packing, we managed to catch a last few hours of tropical sunshine on the beach, before we were transferred back to Dar es Salaam for our flight home. The landscape soon changed from the open wilderness of southern Tanzania to the cityscape of Dar es Salaam. 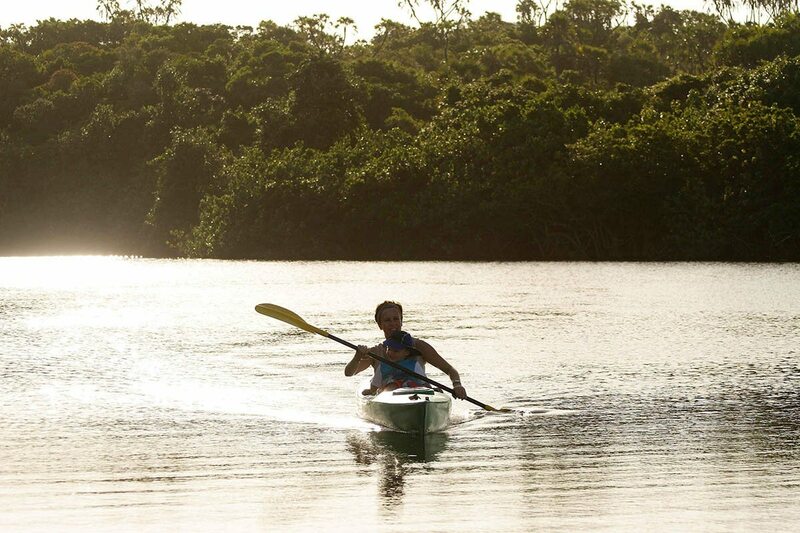 On arrival, we were driven to the shores of a freshwater lagoon and rowed across to Ras Kutani. 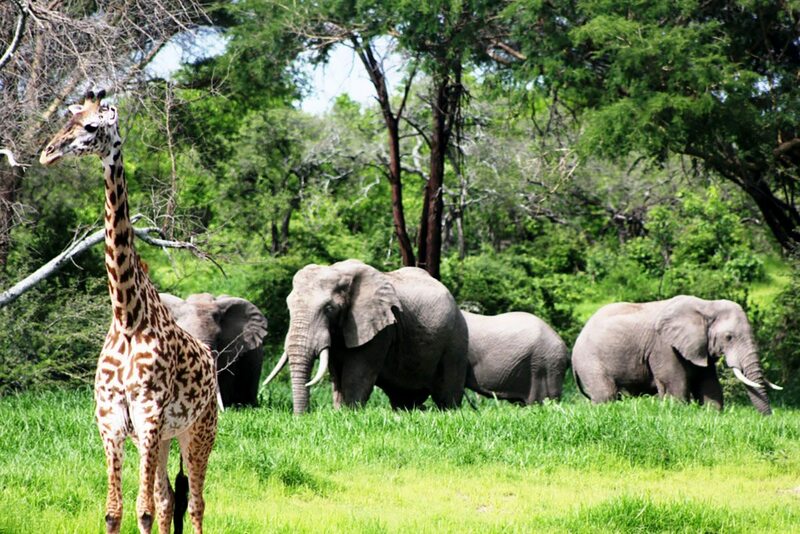 After our busy safari schedule, we decided to take a day off for pure relaxation. It was a tough choice between loafing at our private plunge pool or on the beach, but eventually the beach won, simply because we couldn’t wait to sink our feet into the sand. Being able to signal our need for a drink by putting a flag in the sand was an undeniable luxury – one we took full advantage of! After a fresh seafood lunch, our afternoon was spent at the spa – indulging in massages, followed by rejuvenating beauty treatments. We lay in the next morning, relishing the comfort of our Sultan bed and the views over the lagoon from our hillside suite. With a range of activities, including snorkelling, bodyboarding, kayaking or even horse riding, we were spoilt for choice. We kayaked in the lagoon and snorkelled at an abandoned shipwreck, swimming with a turtle for a few seconds before it jetted away. 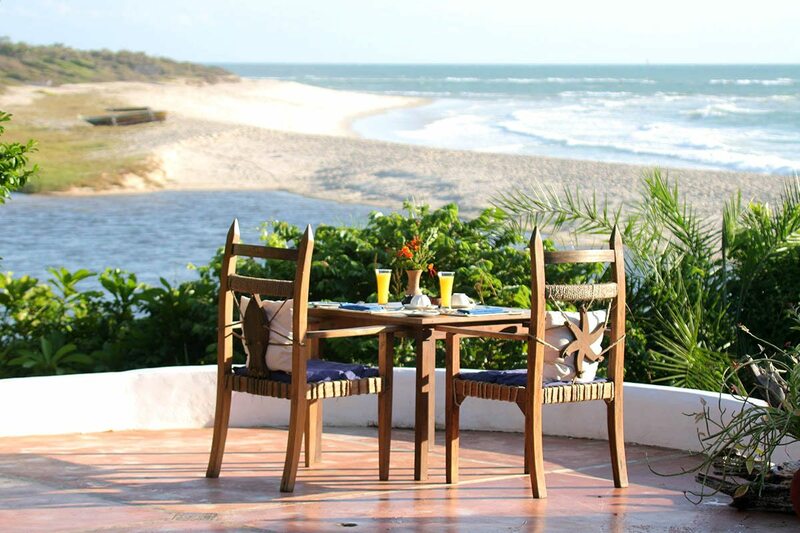 Lunch was served on the beach, dinner at the beachside restaurant – both fabulous affairs. Later, we enjoyed a leisurely evening swim in our pool and a luxurious bubble bath before turning in. 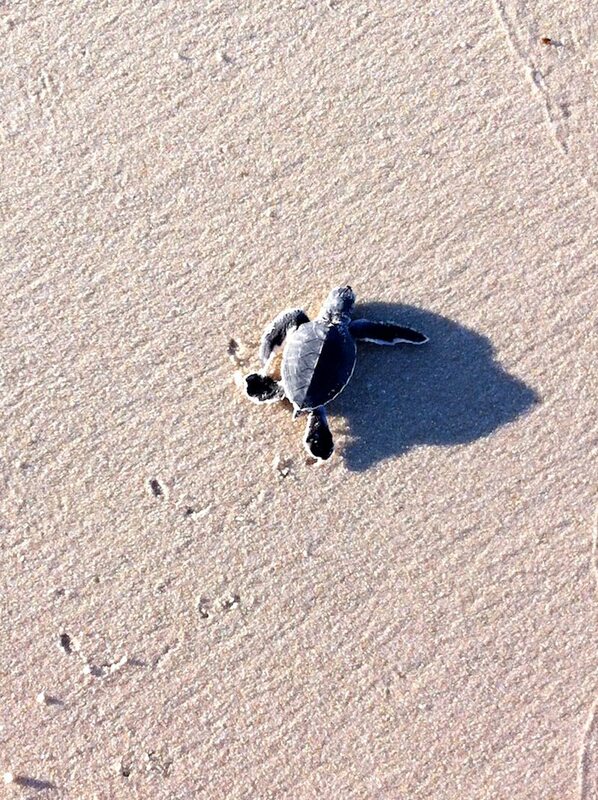 We woke up bright and early the next morning to join our guide for a walk on the beach, where we were one of the lucky few to witness endangered green sea turtles hatch and make their first journey into the ocean. The tropical forest behind the lodge is home to 132 species of trees and four types of monkey, including the black and white colobus, we learned on our later walk into the forest. We watched them swoop and swing from the trees, taking plenty of pictures, before spending the rest of the day on the beach. After a whirl of packing, we managed to catch a last few hours of tropical sunshine on the beach, before we were transferred back to Dar es Salaam for our flight home. 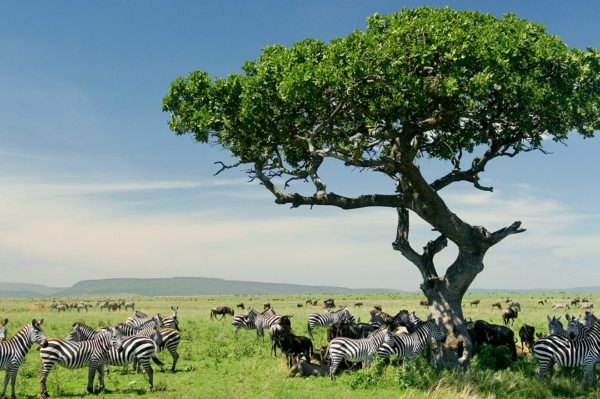 Our luxury Tanzania safari allowed us to experience the two best parts of Tanzania: her astounding wilderness and stunning beaches. Whether relaxing or on an adventure, the experiences we had were what truly set our safari apart – walking in the bush and along the beach, fly camping under the stars, floating along the river, lazing at our private plunge pool and watching turtles hatch.And each of the lodges we stayed at had their particular highlights, things that will immediately come to mind when we tell our friends about our amazing holiday. Seeing wild dog at Siwandu was on our safari bucket list, so we’re thrilled it manifested. Jongomero bowled us over with its sheer remoteness, and the acute sense of the wilderness it offers. Finally, I know I’ll be dreaming about the pristine beaches and prime snorkelling spots of Ras Kutani – and of the small coastal forest that abuts it. With complete flexibility on how to spend our time, every day on safari in Tanzania was completely unique. Our luxury Tanzania safari allowed us to experience the two best parts of Tanzania: her astounding wilderness and stunning beaches. 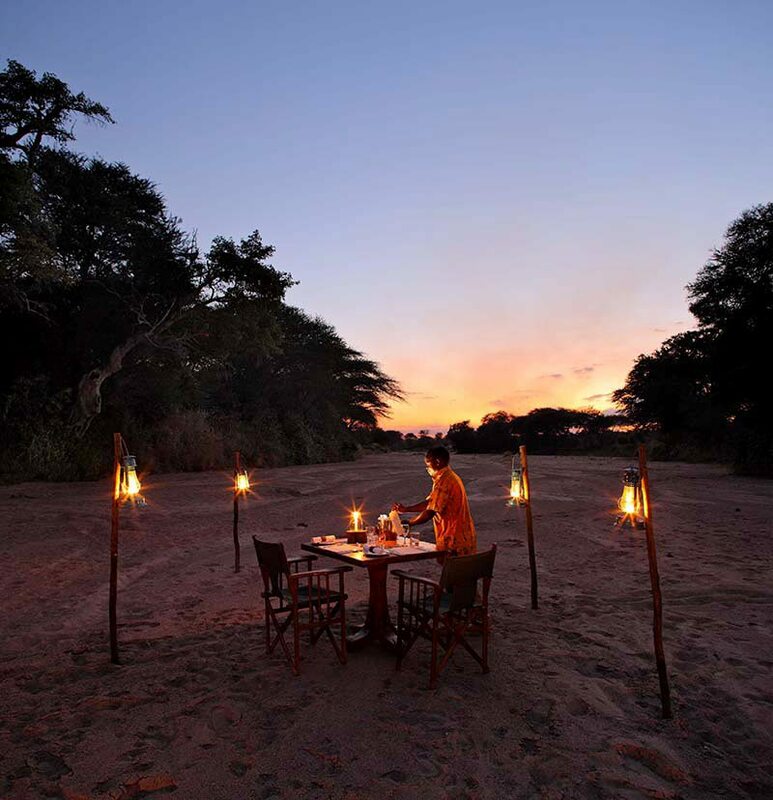 Whether relaxing or on an adventure, the experiences we had were what truly set our safari apart – walking in the bush and along the beach, fly camping under the stars, floating along the river, lazing at our private plunge pool and watching turtles hatch. And each of the lodges we stayed at had their particular highlights, things that will immediately come to mind when we tell our friends about our amazing holiday. Seeing wild dog at Siwandu was on our safari bucket list, so we’re thrilled it manifested. Jongomero bowled us over with its sheer remoteness, and the acute sense of the wilderness it offers. Finally, I know I’ll be dreaming about the pristine beaches and prime snorkelling spots of Ras Kutani – and of the small coastal forest that abuts it. 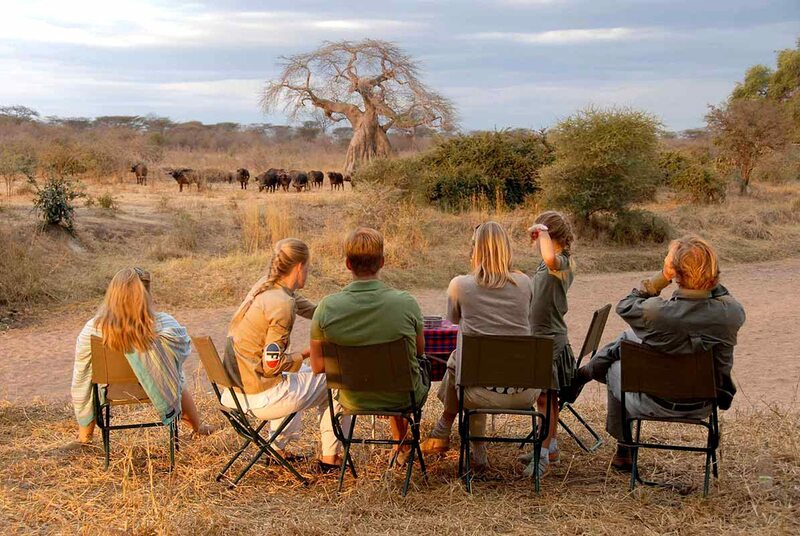 With complete flexibility on how to spend our time, every day on safari in Tanzania was completely unique. You’ll be met as you disembark from your international flight at Kilimanjaro International Airport in Arusha, and assisted through customs and immigration. Following a private transfer to Arusha Airport, you’ll take a scheduled light aircraft flight to Ruaha. A transfer will take you to Jongomero, where you’ll spend three nights. 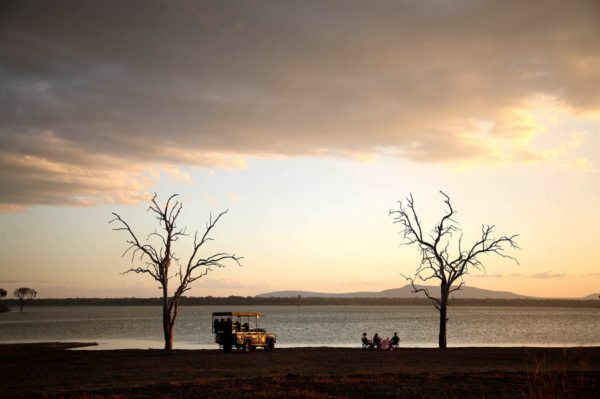 Following a transfer from Jongomero to the airstrip, you’ll take a scheduled light aircraft flight to the Selous. A transfer will take you to Siwandu, where you’ll spend three nights. Following a transfer from Siwandu to the airstrip, you’ll take a scheduled light aircraft flight to Dar es Salaam. 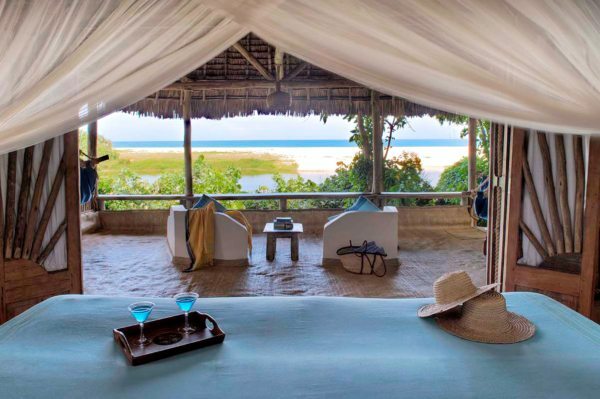 A transfer will take you to Ras Kutani, where you’ll spend three nights. Following a transfer from Ras Kutani to the airport, you’ll take a scheduled light aircraft flight to Kilimanjaro International Airport in Arusha, where you’ll be assisted through check-in for your international flight.